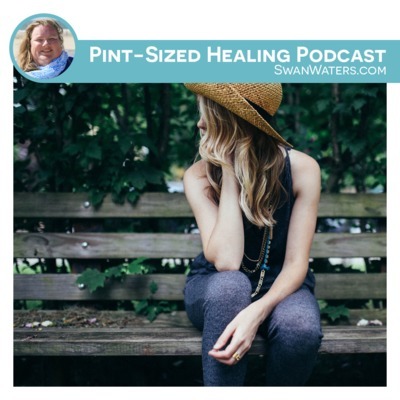 Welcome to the Pint-Sized Healing Podcast. 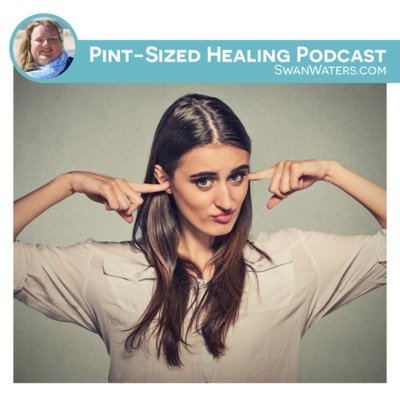 Every week I will share some of my ideas, tools and skills about abuse and recovery in small, pint-sized chunks of healing. All the resources and ideas shared here and on the SwanWaters website are based on the team's and my personal experiences and learning. 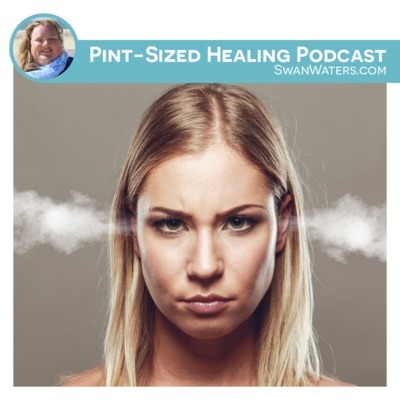 In this episode of the Pint-Sized Healing Podcast, Mags talks about why the SwanWaters team is taking a two-week break from social media between March 18 - April 1, 2019 (no April's Fools jokes here lol). Main Take-Aways: • We're always talking about how important it is that people take time for rest: we want to make sure we're practicing what we preach in that regard, too • No one, even in (especially in) the workplace, can burn the candle at both ends • It's important to have a break from personal development and healing Listen to other episodes of the Pint-Sized Healing Podcast here. 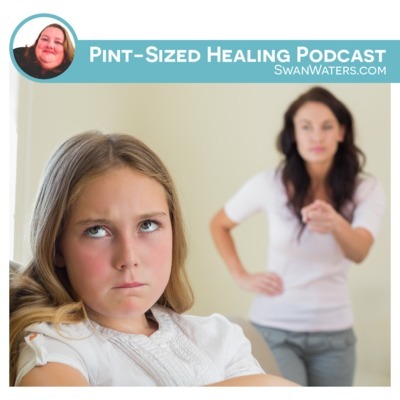 In this episode of the Pint-Sized Healing Podcast, Mags and Carrie reflect on a piece Stewart (Mags' husband) wrote about his experience with her toxic family. - Main Take-Aways • When you're aware that the abusive person in your life likes to drive wedges between people, make sure you compare notes with those who matter to you so that the truth doesn't get distorted • Have limitations around what you share with the abusive person so they can't use it as ammunition against you later • If you're aware that something isn't right in a relationship you're involved in (even if you can't quite put your finger on it), share this concern with trustworthy friends and family so that they can be aware of your situation - Click here to read the original House of Mirrors blog post. 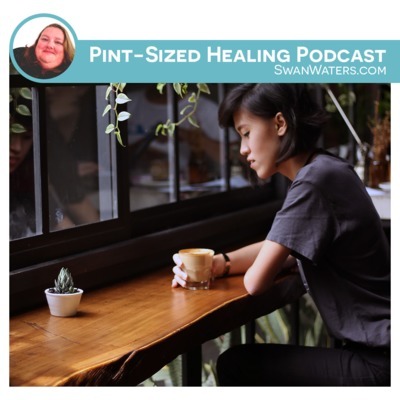 When we think about self-care and healing, we often feel overwhelmed at the prospect of adding more things to our all ready overflowing to-do list. So if we can't add more to the list, how can we make the items that are already on there really count? The answer: change how we feel about our chores,and how we view their necessity in our days. It might sound weird, but we can actually make our day-to-day tasks count as self-care in our healing journey. Main Take-Aways • Your self-talk about the chores/tasks/work you have to do will shape how you feel about them • You can reframe the way you look at the things on your to-do list not as things you "have to do", but things you "get to do" as an act of self-care • You can choose to look at the "mundane" tasks as a respite from our emotional turmoil • Choose to do things you have to do with a focus on the feelings you want to experience. E.g. the sense of wellbeing that comes from having a tidy home, or the sense of pride that comes from knowing your dog feels great after taking her for a walk Links to Resources • Clutter Bug: Audio Tools to Get Things Clean and Tidy | A course by Kelly-Ann Maddox If you want to learn more about how to self-care, we actually have a module in The Healing Academy specifically devoted to the topic! Click here to enroll now! This week I am joined my spiritual mentor and energy healer Jacqui McGinn. 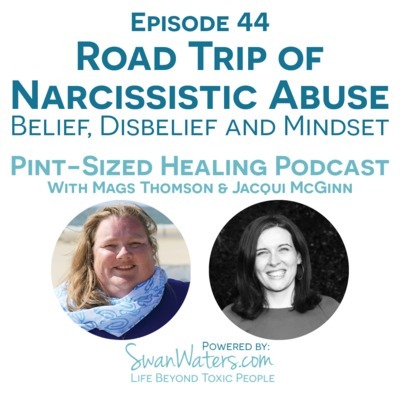 We talk about the effects of narcissistic abuse and focus especially on belief, disbelief, and mindset. - Disbelief is equally powerful as belief - Emotional abuse lacks tangible truth that makes it "easy" to remain oblivious - Seeing the abuse is terrifying, and some people chose not to see it for that reason - Coming to terms with abuse means questioning your entire reality - Happy, healthy people don't usually hurt other people - Narcissistic people are stuck in their trauma and create a world of disbelief around them. Everyone around them is dragged into this world of lies - You stop relying on your own observations, thoughts, and emotions - Emotions are our truth-tellers and we stop listening to them - It takes time to rebuild your confidence - The narcissist has to put people down in order to feel better about themselves - Labels aren't always necessary, all we need to do is ask: is this loving behavior? Today's episode was originally recorded as a Facebook Live. I answer the questions left for me in the Facebook Group. I talk about building and maintaining relationships and friendships. 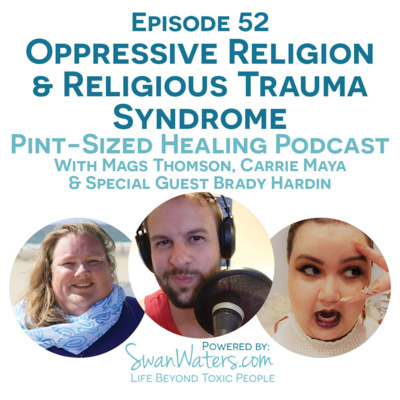 - We may have learned toxic relationship tools in the past - Our relationships are reflections of our relationship with ourselves - So, what can we learn about ourselves from the issues we are experiencing? Raise your hand if you do this: when you do something to look after yourself you have a huge guilt trip? Is there part of you that things looking after yourself in selfish? Then this is the episode for you! - You can't pour from an empty cup - Self-care isn't a luxury, it is essential - We cannot heal without self-care - We need and deserve some indulgence sometimes - The guilt trip can cancel out the self-care - Our wants and needs change over time - Try what works for you - Everything you try helps, even if it helps determine what doesn't care for you! Today I am joined by Christine Judd. She is a holistic business mentor, author, yoga teacher and Lomi Lomi practitioner. Her journey through depression has led her to explore various different treatment approaches from medical to woo woo. She’s launching a podcast called ‘Living through the hard stuff’ exploring depression through the eyes of different holistic traditions and sharing her tips and tricks of how she manages to ride the waves of depression through daily activities, spiritual practices & other techniques. You can follow Christine on Instagram: https://www.instagram.com/tinejudd/ Some days it is easier to self-care than others. 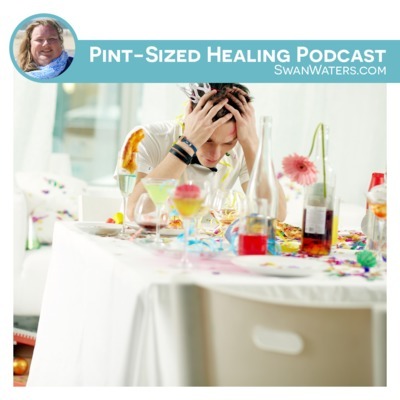 Christine and I talk about the things we do to get through the days when it is a little harder. This podcast was originally posted on 1 January 2018, so I do talk about New Year's Resolutions... but the good news is that compassionate goal setting is something you can do all year round! - Goal setting can be so useful in healing (and many other areas of life) - Be compassionate about your goals - Life happens, we get side-tracked... no biggie - We need a level of stability to tackle some of the bigger issues in our healing - Make space for making mistakes, or getting distracted - Have some fun! 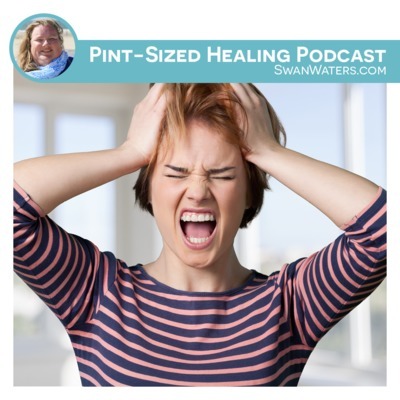 In this episode, I talk about anger. It is an emotion that is often pushed away and misunderstood. - Society seems to tell us not to be angry - Be angry, don't be angry... it's up to you - Feel it, but don't hold on to the anger!